I've fallen into a little bit of a writer's block, albeit at the worst timing ever considering my husband has the week off of work and for the first time in, oh, ever, I have ample time to work and write. Maybe my best thoughts just happen in times of chaos? 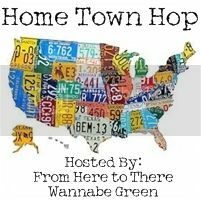 Either way, today I read about the Hometown Hop that Ashley is hosting and knew I had to jump on board. Despite a four-year stint three hours north during college, my hometown has always been my hometown and always will be my hometown, so I knew this would be the perfect bandwagon to jump onto. Plus, it's always neat reading about other people's little corners of the world (and you can click the blog hop button below to do just that!). 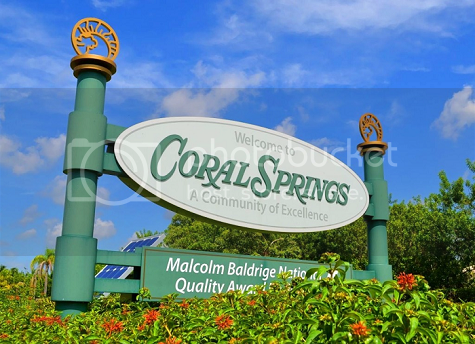 Chances are, you haven't heard of Coral Springs, Florida. We're about 15-ish minutes south of Boca Raton and 30-ish minutes north of Fort Lauderdale. 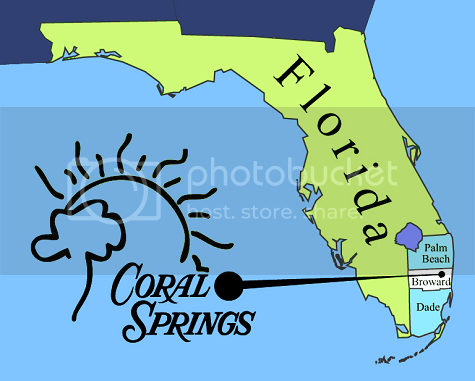 Coral Springs became an official city in 1964. Most of the homes in my area were built in the mid-to-late 1990's, which is when my family made our way here from Miami. Coral Springs has a population of 121,096 (as of 2010) which may seem big to some people, but has always seemed quaint and small to me. After all, drive an hour south and you're in Miami -- the 42nd largest city in the United States. Drive an hour north and you're in the Palm Beaches. Coral Springs has always felt quaint to me for the fact that no matter where I go, there's a high chance I'm going to run into someone from high school (or elementary school, or middle school, or someone I even recognize from the grocery store or Target -- it's happened, many a-time). Coral Springs is the flat-out suburbs. There's no way to glamorize it. Most communities are gated and the city's "downtown" area consists of a few chain restaurants and The Walk. It's an outdoor center featuring a Jamba Juice, Barnes & Noble, Starbucks and a select few other restaurant's, cafe's and little boutique shops. The Walk (namely Jamba Juice) was the #1 teenager hangout spot when I was a teenager, mostly because it was the only place to go. My husband worked at an ice-cream shop in The Walk during high school and I'd spend countless hours sipping on a smoothie, watching him make waffle cones and writing miserable teenage poetry in a journal I'd purchased at Barnes & Noble an hour earlier. Not that I was predictable, or anything. During our teenage years, dreaming of leaving Coral Springs was all anyone did. I'm guilty of the same. It was so easy to complain about there being nothing to do -- a complaint my sixteen year old sister still shares -- from the confines of your suburban bedroom. Now as an adult and parent, it was a no-brainer for my husband and I to want to raise our family in our hometown. You know, something about the boring, safe suburbs with the glowing schools becoming appealing when you're raising a child in 2013. Of course, there were draws to our teenage years and growing up in Coral Springs aside from Jamba Juice. 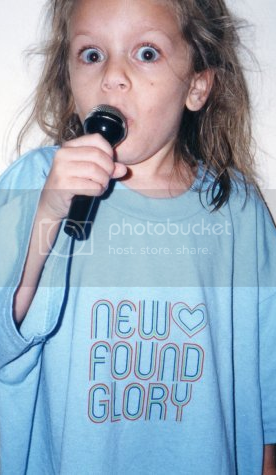 Anyone else remember New Found Glory? 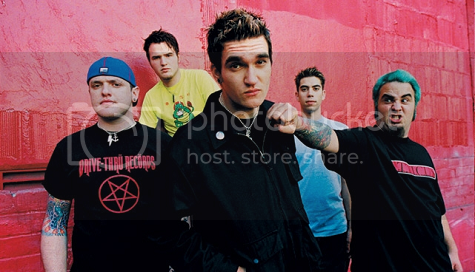 New Found Glory were from Coral Springs and everyone knew them, or their siblings, or their relatives somehow. 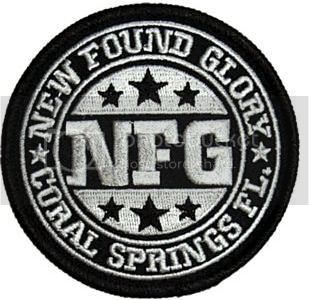 And with New Found Glory's surge into the big time came this sort of magic over the rest of Coral Springs during our generation. 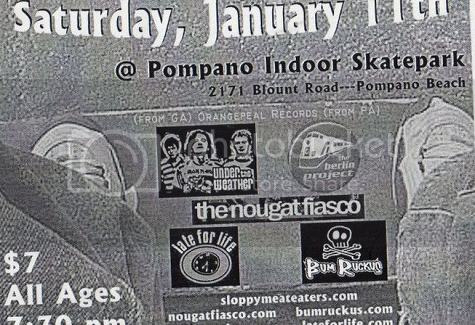 Growing up in Coral Springs from about '99 on, it was all about the music. The punk rock scene was everything to me as a teenager. Each weekend, there was another local show going on. 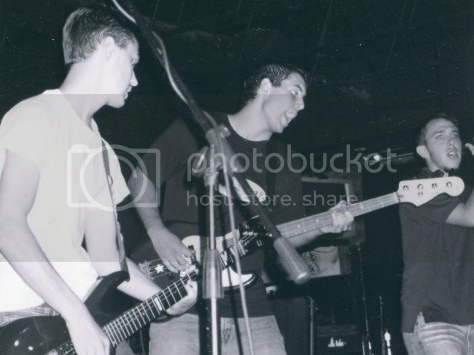 And everyone played in a band, including my husband -- who was then just the 16 year old love of my life playing bass! ...And there was just something generally magical about seeing your once totally lame hometown's name on t-shirts, hoodies and other accessories all over the world. I remember watching some MTV broadcast (remember when MTV had music videos?) 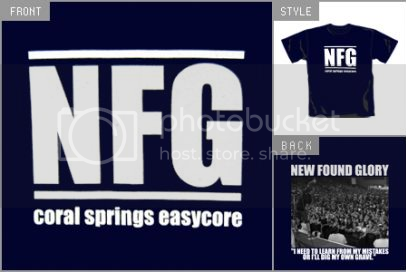 and seeing a sea of New Found Glory t-shirts with Coral Springs being represented all the way over in Japan. It was a little bit of fresh air and music and magic that kind of took our generation full swing and made it really cool to be from Coral Springs. Like the time I got grounded and wasn't allowed to go to a local show one weekend, so I stepped out onto my mom's front doorstep and heard New Found Glory and Further Seems Forever playing clear as day from a neighboring park. It was just cool. I also guess a Coral Springsian's love for New Found Glory never truly dies. 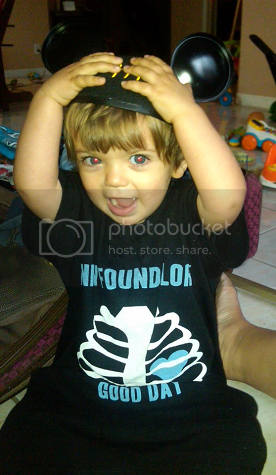 The photo on the left is my little sister (now 16) as a little girl rocking her NFG shirt and to the right, of course, is Ethan just last month. 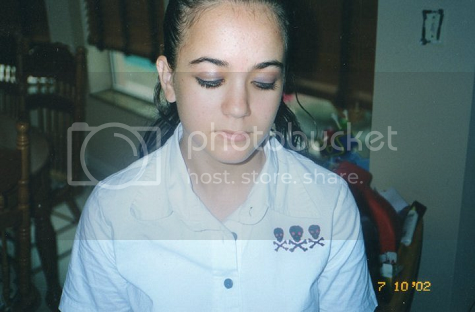 Of course, growing up all "punk rock" in Coral Springs means you get a lot of pictures to look back on of you perfecting your perfectly, perfectly sad emo look. I think I nailed it. Really, I promise, those years were good times. As an adult, there are huge pluses to living in Coral Springs that I now understand that maybe I didn't at the time -- like the focus on education. 91.7% of Coral Springs residents go on to earn their high school diploma, compared to the national average of 84.2%. There are 3 high schools, 4 middle schools and 12 elementary schools in the area, all of which receive an "A" rating. The high school I graduated from ranked in the top 1% in the entire nation. Coral Springs has been ranked as the 27th best city to live in by Money Magazine and was named the 10th safest city in the United States in 2007. 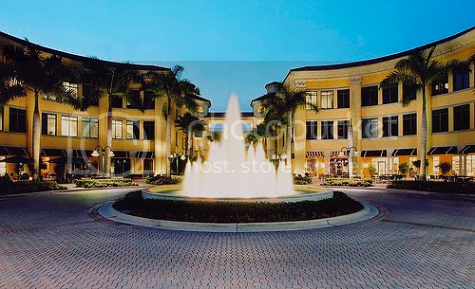 In 2010, CNN listed Coral Springs as the 44th best place to live in the United States. And it's now, as an adult and parent, that I take all this boringness as the good thing that it is. Whether we're on a walk with Ethan or just driving through the city, I think I say at least once a day (sometimes maybe more, if we're being honest) to my husband how I never want to live anywhere else -- even if poor Ethan will never get to make a real snowman, which he's still asking to do on a regular basis. Sorry, kid -- you'll just have to settle for being the next generation to soap the fountain at The Walk on a Friday night. I love the look back to your teenage years! Thanks for linking up! This sounds so awesome! I would like to live where you are. That is so cool you get to see people you grew up with around town. I know no one when I return home so that is something special you have. 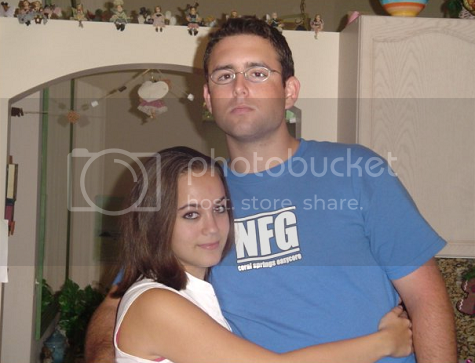 Uh, totally had that NFG easycore shirt! Ha ha! My college roommate grew up in Coral Springs! Too funny! Looks like a great place to live! I love learning more about you and your hometown. And didn't we all have periods of dreaming of moving far far away from our roots? I now idealize that place and sometimes would trade in my beloved NYC life to go back to that beautiful suburb with my own littles.